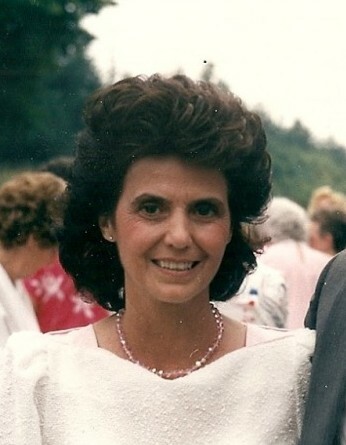 Josephine “Josie” Cayer of Glen Burnie passed away on April 6, 2019. Josie was born on June 4, 1934 in Baltimore to the late Elmer and Antoinette Fritts. She enjoyed spending time with her family at Deep Creek lake and Ocean City. Josie was the beloved wife of the late George Cayer. She is survived by her two sons, George Cayer III and Brian Cayer and his wife, Donna; her grandchildren, Jason Cayer, George Cayer IV and his wife, Amanda, Garrett Cayer and his wife, Heather; her three great-grandsons, Nathan, Andrew and Logan Cayer; and her two sisters, Frances Blackburn and Margie Fritts DiClementi. The family will receive visitors at Singleton Funeral & Cremation Services, P.A., 1 2nd Ave. SW (at Crain Hwy) on Saturday from 12-1 pm. A Memorial Service will be held on Saturday at 1 PM in the funeral home chapel. Interment Glen Haven Memorial Park.